Genetically Modified Organisms (GMO) products, especially foods, have been a hot-button issue in recent years as more consumers seek assurances that they will not harm their health. Are efforts now spent on limiting their use going to translate into better health for people worldwide? Or would all the time and money be better directed towards other food matters? Planet Earth faces enormous challenges regarding food safety and accessibility. Industries trying to brighten our future (and make a fat profit) have turned modern science towards the production of GMO foods. These “frankenfoods” are synthesized by inserting genetic material (DNA) from one species of plant or animal into an entirely different species. This advancement in genetic engineering allows humans to do what nature will not do: transfer genes between species. Cutting and pasting DNA in a laboratory seems so unnatural, if not unhealthy and unethical. GMOs are a global dispute with many consumers worrying that the costs will far outweigh the promised benefits (such as herbicide-resistant plants). This controversy has resulted in riots, international trade disagreements, and attempts to pass legislation requiring that GMO foods be properly labeled. Vocal anti-GMO activists contend that there is a large-scale conspiracy between agribusinesses and governments: The primary suspects are Monsanto, the largest producer of GMO products, and the US government. Since becoming commercially available in 1994, no reputable medical journal has published even one case of disease in humans caused by consuming GMO foods. Health warnings about GMOs are largely based on a single observation: a close association between the consumption of GMO foods and an increased incidence of weight gain, allergies, and gastrointestinal disorders amongst Americans during the last several years. These population links are supported by a few controversial animal studies. However, the current epidemics of obesity, and related diseases, like type-2 diabetes, were on the rise long before the introduction of GMO foods fewer than two decades ago. For example, the rate of obesity in the US has steadily increased from 15% before the 1980s to over 35% currently. This shift has been accurately attributed to the dramatic increase in the consumption of sugars and oils, as well as, meat and dairy foods, during this time period. Furthermore, switching from GMO corn and soybeans to the non-GMO varieties has resulted in no reliable reports of cure of any patient’s ailments. Some argue that the lack of scientific reporting is part of “the conspiracy.” Others say it is just a matter of time: Although no clinical cases of “GMO disease” or “GMO poisoning” have been reported among billions of GMO consumers, the concern is what we may discover 50 or 100 years from now. In the meantime, no one wants to be part of the experiment that proves or disproves, decades from now, the ultimate safety of genetically engineered foods. Short of universal implementation of mandatory labeling, the two best ways to avoid GMO grown crops are to (1) not buy processed foods and (2) to buy “certified-organic.” Products labeled "made with organic ingredients," are made from both organic and non-organic ingredients, but are not allowed to contain genetically engineered ingredients. Eating out should generally be avoided because restaurants rarely are concerned about cooking with GMO ingredients. Very few fresh fruits or vegetables are grown with genetic engineering (Hawaiian papayas and a variety of yellow squash are notable exceptions). No meat, poultry, or fish products, approved for direct human consumption, are bioengineered at this point, though most of the feed for livestock and farmed fish is derived from genetically engineered alfalfa, corn, other grains, and soybeans. Fear-mongering over GMO foods with inflammatory statements like “It is the most dangerous thing facing human beings in our generation” are distracting the public, and our political attention, away from the most important food-related threat to human health: livestock (chickens, cows, pigs, etc.). Livestock act as vectors for the transfer of many harmful substances to people. Sensational food scares, such as Mad Cow, foot and mouth, E. Coli, Listeria, and bird flu infections, and dioxin and melamine poisonings, have dominated the news over the past two decades. Important to note is that, in contrast to plant food-based GMO products, all of these (animal-food-delivered) agents have caused real human diseases, albeit only a few cases for each. Lurking in the background behind sensational headlines, like the elephant in the room, are the epidemics of obesity and illness caused by eating too many animals and insufficient plants. Major medical organizations, including the World Health Organization and the US Burden of Disease Collaborators, have identified consumption of meat and dairy products as the leading cause of illness and death in Western countries. Heart disease and stroke top the list of diet-induced illnesses worldwide. Switching people from an animal food-centered diet to one based on starches (rice, corn, wheat, potatoes, beans, etc.) would dramatically, and almost overnight, reduce the farming of GMO foods. This shrinkage would be a direct consequence of eliminating animal feed, used to make bacon, beefsteak, and Brie. 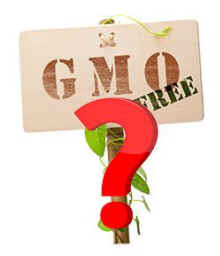 Worldwide the number one use of GMO foods is to provide feed for livestock! Approximately 80 percent of all corn and 70 percent of soybeans grown in the United States are consumed by cows, pigs, and chickens destined for people’s dinner tables. There is no denying that the current epidemics of obesity and sickness in Western civilizations are not caused by GMO foods. Our future depends upon us taking actions based upon today’s facts and not upon tomorrow’s fantasies. Efforts refocused off of the GMO distraction and on to reducing livestock production have the potential to save billions of lives from heart disease, diabetes, and cancer—long before the first case of “human GMO disease” is ever reported.